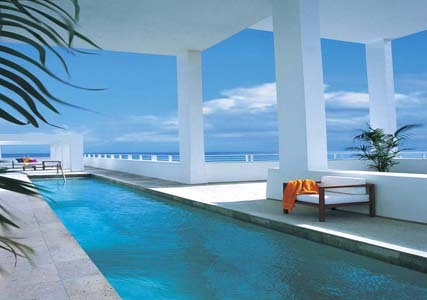 The Shore Club (shoreclub.com), a hip base on South Beach with everything you could wish for − ocean views, two infinity pools, a rooftop spa, a rum bar, a Nobu restaurant, plus 309 slickly-designed rooms. Doubles cost from £182 or bag a ‘Be Young Be Fun’ package including mojitos and late checkout. * Get some highs on a scenic seaplane flight (miamiseaplane.com). * Head to Little Havana for Cuban rhythms (viernesculturales.org). * Start your partying at the Shore Club’s SkyBar which has wicked cocktails, top DJs and a wildly eclectic style. * Stock up on beauty products at Ricky’s (536 Lincoln Rd, rickysnyc.com). * Catch some cool design at the Wolfsonian-FIU museum (wolfsonian.org). British Airways (ba.com) has flights from London Heathrow, from £564 return in January including taxes. Luxe Miami (£4.99; Luxe City Guides) lists all the top spots, or check out miamiandbeaches.com.